The garden can generally be broken into several basic components, such as lawns, paths and that with which we are concerned here; the border. 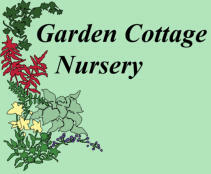 The classic building block of the garden is a Herbaceous or Mixed Border. A border is the premier way to display the most flowers per square metre in a garden. Preparing it in the best possible way will ensure that it puts on the best display. There are three classic types of border; the Shrub Border, Mixed Border and the Herbaceous Border. Each requires in increasing order more preparation and maintenance. For all types of border you can invest a varying amount of effort into the preparation of your soil prior to planting. The amount of work you undertake will depend on the time you have to invest in digging and the quality and type of the soil to start with. The main work of soil preparation is digging by hand, with a spade, machine rotavators give greatly inferior results. This work is easiest on a flat, rectangular site with a fairly light soil that is not too wet and relatively free of stones and roots. For the basic method of digging a border outlined here you will require: • A good, sharp stainless steel digging spade * • A strong digging fork * • A stable wheelbarrow • If there are many large rocks or roots in your soil: • A mattock † • A pinch bar ‡ • Scaffold planks • String and some bamboo canes • A strong back or good chiropractor * Digging spades and forks are the normal broad bladed types, a ‘border spade’ has a narrow blade and is useful for planting and particularly, lifting plants in confined situations. † A mattock is a kind of pick with one vertical axe-like head for cutting roots and a horizontal adze-like head for prying. ‡ A pinch bar is a heavy solid steel bar with one pointed and one flattened, wedge-shaped end, it is used for prying out difficult to shift big rocks. Digging improves the soil by allowing the incorporation of organic matter, fertiliser and if desired, lime, breaking down heavy clods, relieving compaction and to bury annual weeds and expose pest such as leather jackets to predators like robins and blackbirds, who will soon join any digger. In an already good soil for a shrub border single digging is all that will be required, that is the soil is dug to one spade depth (a spit) and forked over with some well rotted manure or similar organic matter to add goodness to the soil, improve water retention and open the structure. Once dug a shrub border cannot be easily re-dug so it is mulched thereafter with organic matter (manure or seaweed for feeding, bark for just weed suppression and moisture retention) to restore fertility and to suppress weeds. The method below will suffice for most herbaceous and mixed borders. A heavy (soil one with texture like clay) is best dug in autumn and left to be broken down by frost over the winter and planted in spring. A lighter soil (one with a sandier texture) is better dug in the spring, and can have manure spread over the surface in the previous autumn allowing the earthworms to distribute it over the winter.